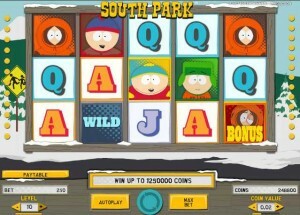 Unibet Casino :: South Park™ video slot - PLAY NOW! September 24, 2013 (Press release) – Net Entertainment invites players to come on down to South Park to join Kenny, Cartman, Stan, Kyle and the rest of the gang for their new Platinum slot game, packed with features and all the entertainment you would expect. The authentic sounds, voices and animations from the show all help make the perfect gaming experience. This latest release will also be added to the Touch™ portfolio. 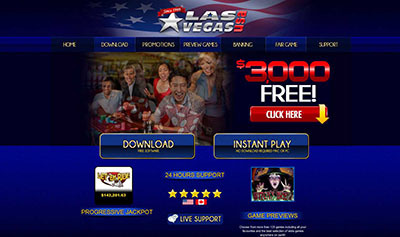 A partnership with South Park Studios has created a 5-reel, 3-row, 25-line video slot with Free Spins, Wild substitutions, Sticky Wilds, Bonus Games and 3 mini-features. 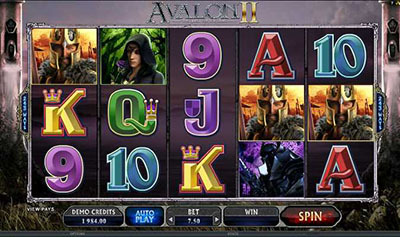 The Bonus Games feature sees the iconic characters try and boost wins through a mixture of fun missions. Cartman must hunt hippies, Stan needs to win Sticky Wilds and re-spins and Kenny is on the search for coins and multiply wins up to x10. Lastly, Kyle’s aim is for 10 free Bonus Spins and the Ike Wild. Three mini-features add Wilds to the reels to complement all the best characteristics from the much-loved animated series. South Park™ :: You can try this NEW Slot game right now at the following casinos: Unibet Casino, Vera & John Casino, ComeOn Casino, Mr.Green Casino, EuroSlots Casino and RedBet Casino.